Is there a better alternative to AssetsGenerator? Is AssetsGenerator really the best app in Developer Tools category? Will AssetsGenerator work good on macOS 10.13.4? AssetsGenerator needs a review. Be the first to review this app and get the discussion started! AssetsGenerator is a developer tool for Xcode. You can generate icons and launchimages from the same app. 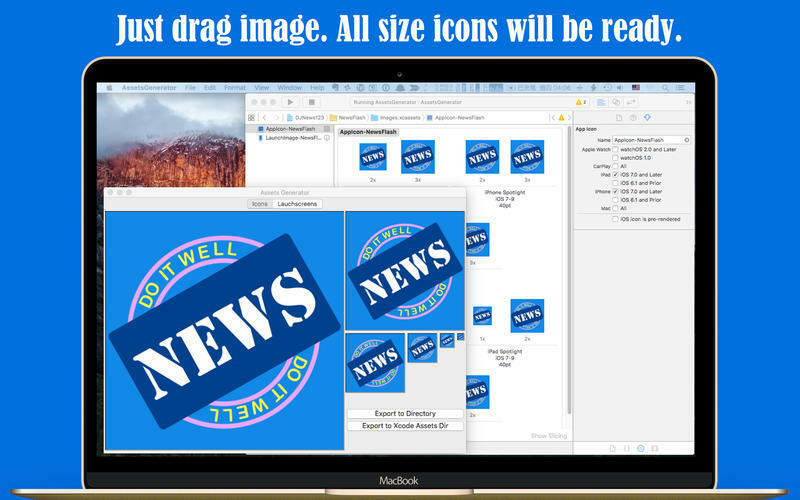 Just drag-and-drop an image, and then all size icons for Xcode will be ready. 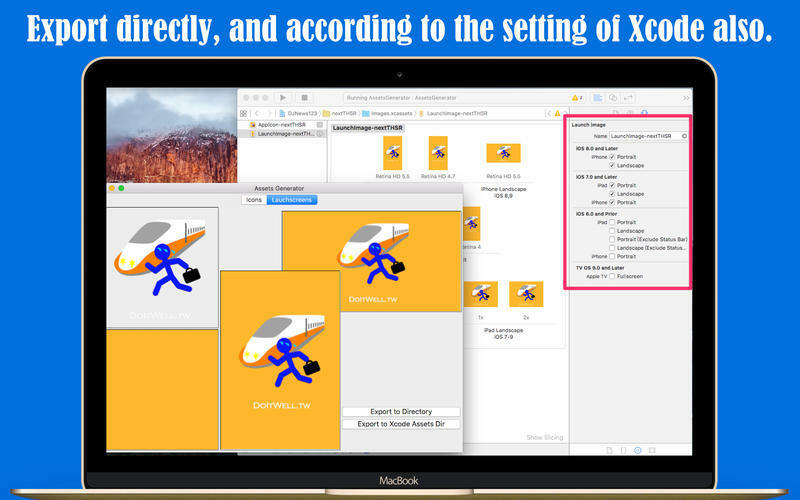 You can export generated icons to your Xcode project assets directly, saving you from having to drag all the icons at the same time. 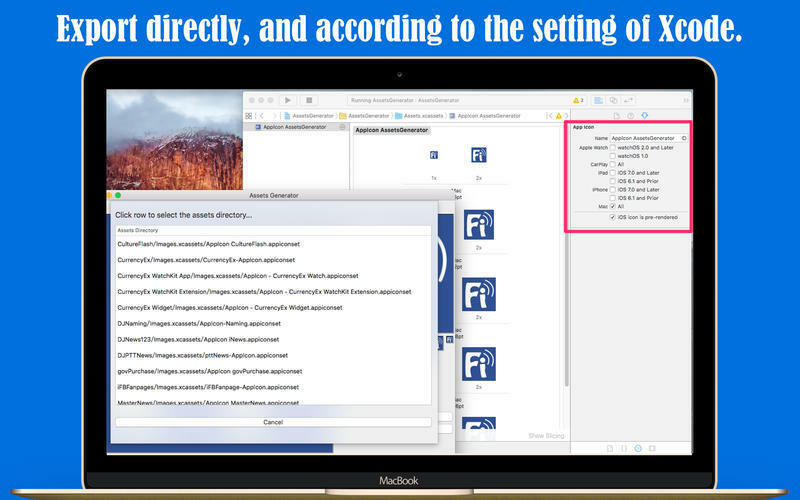 AssetsGenerator will export the sizes according to the settings of the Xcode project/target. Otherwise, you can export all icons to any other directory. 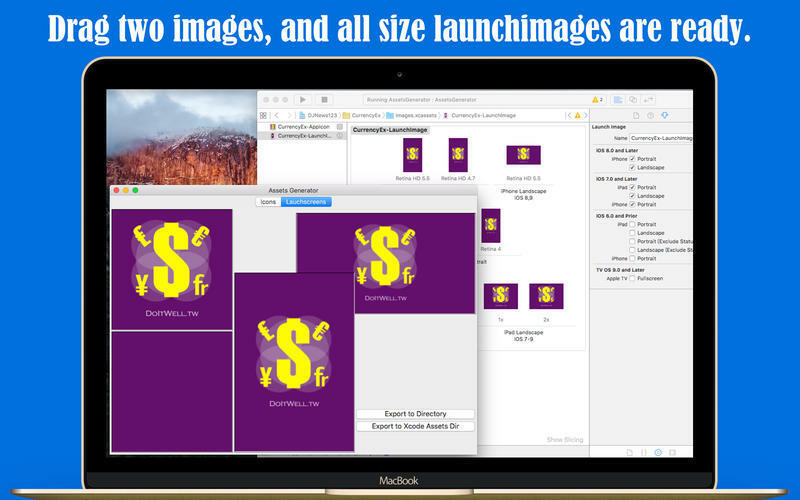 Drag-and-drop two images (one logo image and one background image) and AssetsGenerator will generate all sizes of lauchimages. The process for exporting lauchimages is the same as that for exporting icons.